It's with heavy hearts today that we say goodbye to Jen's beloved grandmother, Dee Butler. Words cannot convey how much she was loved she was by her husband, children, grandchildren, and friends. It would take hours to just give you a glimpse of her full and meaningful life. But to start, her favorite flower was violet and her favorite colors were peach and sea foam. 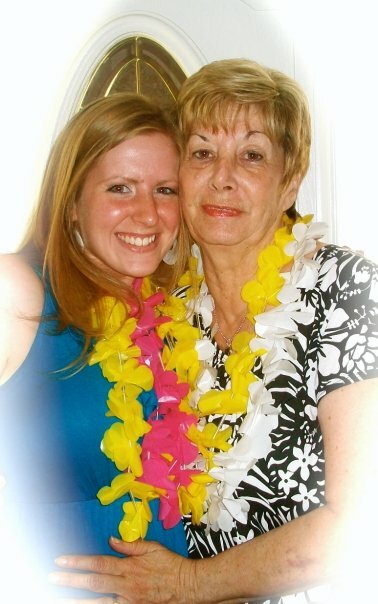 She loved the beach, sea shells, the New York Giants, cats, soap operas, Josh Groban, and anything sweet. But above all this, she loved her family and friends. She will be terribly missed by all those who had the pleasure to know her. So on this Memorial Day, let's think back with fondness on our beloved Grandma Dee.